Started in 2004, Danger Equipment is a brand who produce high quality gear, made in Thailand and deliver to countries across the world, with a strong focus on Western martial arts communities. Their goal is to provide customers with the broadest selection of Martial Arts gear and apparel, the highest level of service and the most competitive prices. 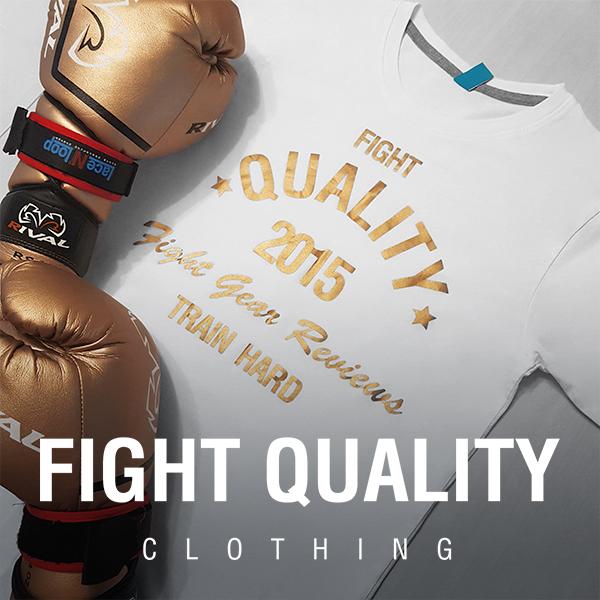 In the UK you can find their gear over at Danger Boxing Shop. Danger Boxing Shop sent us a pair of these shin guards to test out and provide our feedback for them. The evolution shin guards are one of a couple of styles of shin guard developed by Danger Equipment. If you haven’t heard of Danger Equipment before, don’t be put off of these shin guards, as Revgear sell these exact same shin guards with their own branding, manufactured by Danger. These striking shin guards are special in that they’re built with the foot protection in a standing position, with much more protection for the side of the feet than many striking shin guards. At the time of writing, these shin guards are available in 5 colours on dangerboxingshop.co.uk, with the full range on dangerboxingshop.com. The shin guards are black at the sides, with a curved coloured panel down the centre in either red, blue, green, orange, pink, purple, yellow or white. Danger have really nailed the design of these shin guards, and the two-tone visuals would go great with several of their gloves, for example the Deluxe Ultimate Fighter Sparring Boxing Gloves which we also reviewed recently. We grabbed both of these together for a great looking combination. I went for the red and black combination, partly to match with the previously mentioned Danger Equipment gloves and I was really happy with the colour choice when they arrived. As with the gloves, the red is really rich in colour and looks absolutely great next to the contrasting black panels either side. The ‘Danger’ and ‘DE’ logos are proudly shown on the front of the shin guards. The design of the logo is probably more suited to people looking for something visual and fresh, rather than the people who prefer a more subtle, classic design and it makes a nice change from many other shin guards on the market. The size of the shin guards is marked on a small label on each of the upper straps, next to a patch with the DE logo stitched in Gold. The gold stitching just goes to give the shins a slightly more premium feel and add a really nice effect to the shin guards. On the bottom strap you can find a small graphic labelling the shins as ‘DE Semi-Leather’. Now if you’ve heard of Danger Equipment before you may have heard that all of their equipment is made from Semi-Leather. As well as a way of reducing the costs, it’s actually also because the brand support People for the Ethical Treatment of Animals (PETA) and believe in avoiding animal products when alternatives are available. The semi-leather on these shin guards seems slightly different to the synthetic leather we’ve found on other products in the past before. It feels really high in quality and doesn’t have any oily feel to it like some cheaper gear can. At the same time, it doesn’t quite feel like leather either. When talking about Boxing Gloves, many people prefer to stick with leather for the uncompromised quality, but when talking about shin guards, having real leather isn’t as important and in many cases synthetic leather like this can often perform just as well, if not better. Despite being used to kick people regularly, there’s only one small scratch-like mark on the foot of one shin guard, but other than that, there are no visible signs that the shin guards have been used at all. The inner material is really quite nice and seems to find a good mid-point between comfort and grip. It also doesn’t seem to soak up as much sweat and moisture as other shin guards, meaning my shin guards still smell pretty fresh even after a number of intensive sessions. The elastic on the feet of shin guards are often prone to fraying or breaking off, however Danger Equipment have used wide and fairly thick elastic, so should endure the test of time fairly well. Because of the shape of the shin guards, they also likely aren’t affected by as much movement either. These shin guards seem to be beautifully built, and I was really surprised by just how contoured and fitted they seem to be. On the front of the shin guard, the coloured panel hides a slightly raised padding, for extra shin protection, while the insides are naturally curved tightly to fit the leg as closely as possible. For someone who doesn’t have huge legs such as myself, this offers a much better fit than a lot of the wider style of shin guards available. The stitching is also really well done, and is neatly incorporated in a way that is hardly noticeable, even around the seams. The straps on these shin guards are about 2 inches thick, and I’ve found the Velcro holds firmly enough. The straps go through a loop and secure back on to themselves. Instead of the loop being exposed, which can get caught or hit, it’s encased in leather, which presumably improves the durability slightly too by keeping it protected from sweat or other moisture. This type of strap is great for getting the shin guards on nice and tight, which helps to prevent any slipping or unwanted movement. One problem I have found is that the straps are slightly too long. While I appreciate these have to fit people with calves of all shapes and sizes, I feel like the ankle straps are far longer than they need to be, and if I was to pull them as tight as I would ideally like them to be, only a fraction of the Velcro sections actually connect, with a good 3 inches or so of strap wasted. I’ve already mentioned the fit of the shin guards a little bit, and overall I think these have been really nicely designed. As well as the good fit around the shin, I also found these to fit well on the foot. The padding comes around the sides of the foot and sits quite nicely underneath the ankles. There doesn’t appear to be much of an exposed section in the joint either, so you shouldn’t find it a problem when you mis-judge kicks and land them with the wrong part of your leg. They also cover the whole foot quite nicely, covering the toes and keeping it all protected. The top of the shin guards sits about knee level for me, rather than above or below, however the inside padding seems to be angled slightly to keep them away and stop them from hitting the knee at all, meaning they have a good level of protection without sitting uncomfortably on the knee. Although we review gear, this was the first pair of shin guards I’ve tried which are designed with the foot in a standing position, and I’m used to much more flexibility in this area. To be honest with you I was a little worried I wouldn’t get on with them at first. When wearing these you can’t really straighten out your foot, instead if you try you just end up stretching the elastic, while the padding stays exactly where it was. I was really worried about landing a kick wrong and catching it all on the toes. To my relief, this hasn’t happened, and I actually found I quite like these. They might not be too suited to fighters who kick with the instep, however if you try to kick with the shin, in a much more Muay Thai or MMA style, these are perfect (They are Thai style shin guards after all). I found I was naturally positioning my kicks a lot better without even thinking about it and finding my range a bit better. While this type of shin guard might not be everyone’s preference, I personally found that the fit and extra protection around the sides of the foot made this a great choice, not to mention that the foot position prevented these from slipping too much, something I’ve often had a problem with in the past. These shin guards retail at £60 which, considering the prices of other Thai brands of this quality tend to be roughly in the £60 – £80, isn’t too bad a price. While this may be slightly more than a beginner would like to pay for shin guards, these are really protective, well-fitting shin guards which don’t have problems with slipping, so are worth the investment for fighters of any level.